But it can't be from Dolly Clackett. She gave me an Easter egg! : What's in my purse? Erin from Library Girl tagged me to take part in the purse post meme. It's the first time I've been tagged in something like this, so thanks, Erin! I'm sort of tempted to do a what's in my fantasy bag post, filling that beautiful Joules Dumcombe bag from my last post with pretty things, but I'm going to stick with the actual things in my actual bag, for this time at least! I don't know if this bag has a name, but it's a little oilcloth satchel from Cath Kidston. 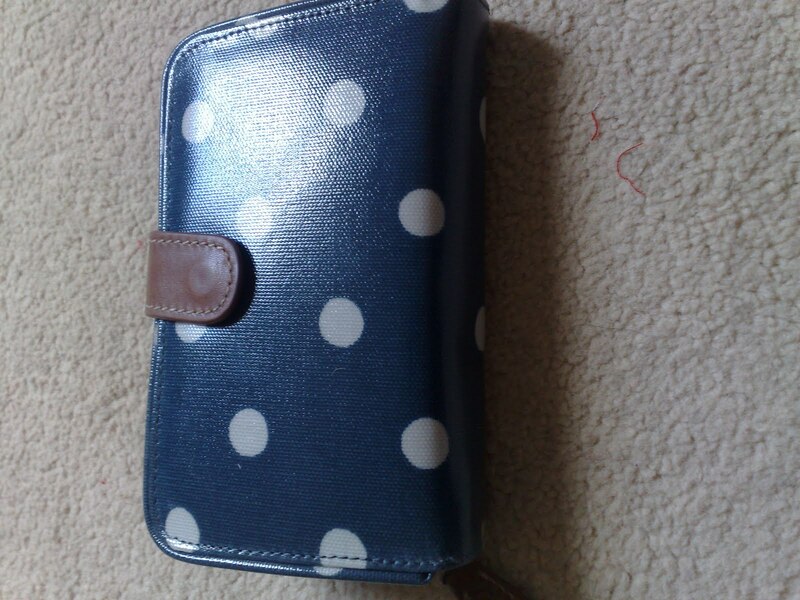 I'm normally not a big fan of CK stuff, but I saw a few people with this on the tube and such and thought it was just too cute to resist, so I took myself to the Cath Kidston shop on Marylebone high street and bought it. It's a good wee bag. It's waterproof, big enough to hold most of my essentials and it has an adjustable strap. All good! I usually have a book in my bag. I've actually finished this one, but it was still in my bag when I picked it up. 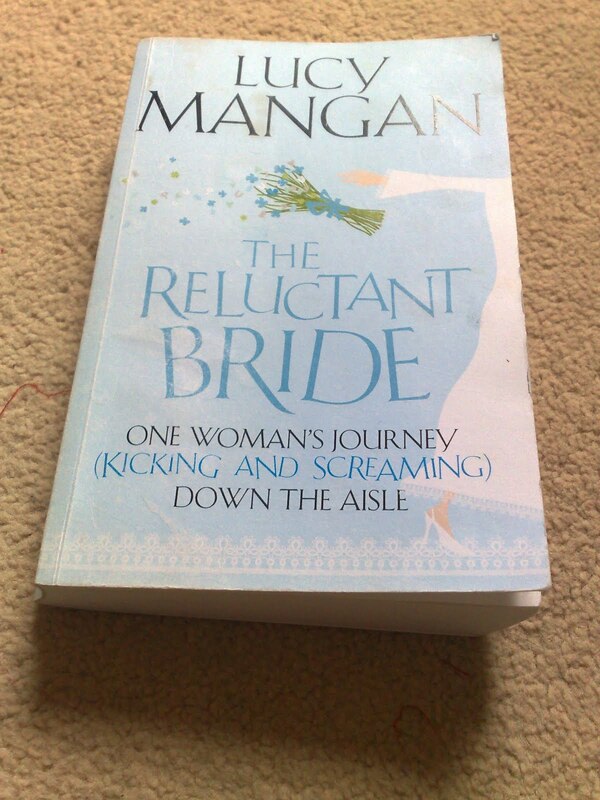 It's The Reluctant Bride by Lucy Mangan, which I borrowed from Martha on Saturday. After feeling all blue last week, it was really nice to read something fun and nice and this book really cheered me up. 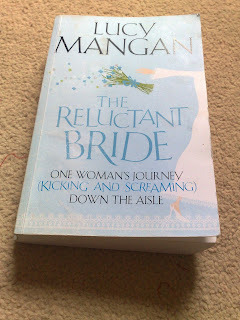 I always enjoy Mangan's writing in The Guardian and I did here as well. 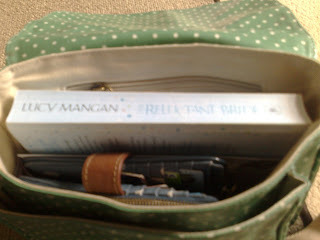 So much so that I started and finished the book in two train journeys! Now I need to find the next good book that will also fit in my handbag. My purse. Another Cath Kidston, I bought this one in a shop in Rye when Nic and I were down a few months ago. 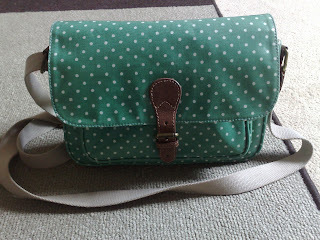 I love the colour, although it is a little bit bulky. It's sadly not bulky through being stuffed with £50 notes, but you can't have everything I suppose. 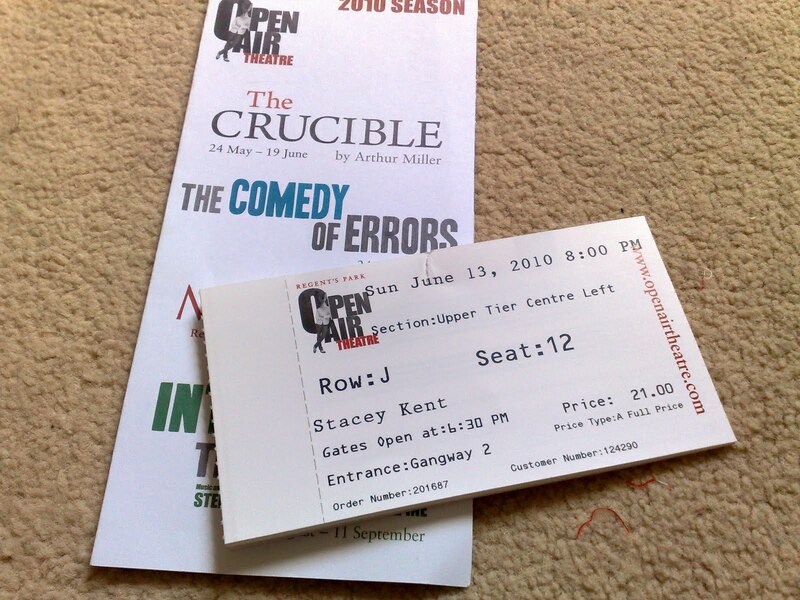 Leaflet and tickets from the Stacey Kent gig on Sunday in Regent's Park. I'm such a hoarder and these are the kinds of things that hang around in bags and shoe boxes and on the coffee table for ages. 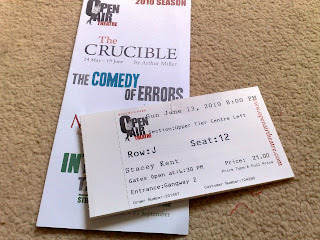 I may put these in the recycling now...or just put them to one side for safe-keeping. 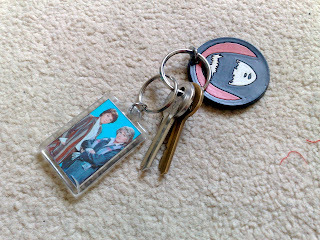 My house keys. These are so I can let myself in to where I live when I get home from work! I keep it simple - I don't have a car so no car keys but I do have two keyrings. One is an Emily Strange one that I bought in a shop in Nottingham years and years ago, when I was an undergraduate still with some pretty emo tendencies. It's made of rubbery plastic and it's good for twisting between my fingers when I'm a bit stressed. The other one has Cagney and Lacey on it and was a present from Nic. Mints and lipbalm - I have so many wee tubs of lip balm in various bags. This one isn't my favourite, but it's reliable. It smells a bit medicinal but the consistency is good. 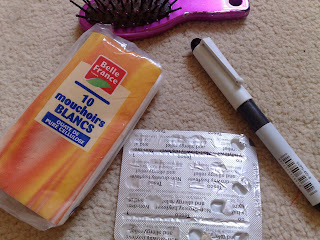 The other photo shows some anti histamines, a pen, a little hairbrush and some tissues. None of these are very exciting but all very necessary - well, I suppose the tissues have some interest by virtue of having been bought in Paris but mainly they're in my bag because I sneeze a LOT. 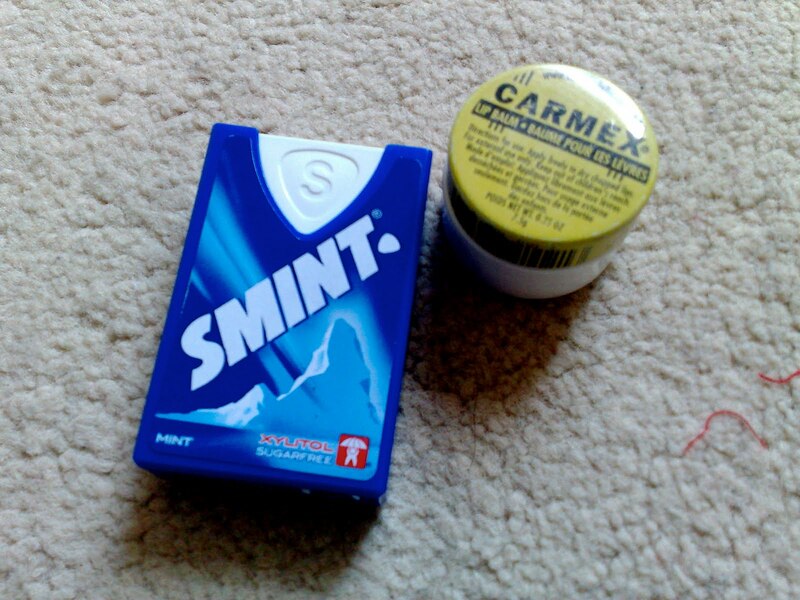 So, that's what's in my bag. Next time it will be what's in my fantasy bag, I promise!